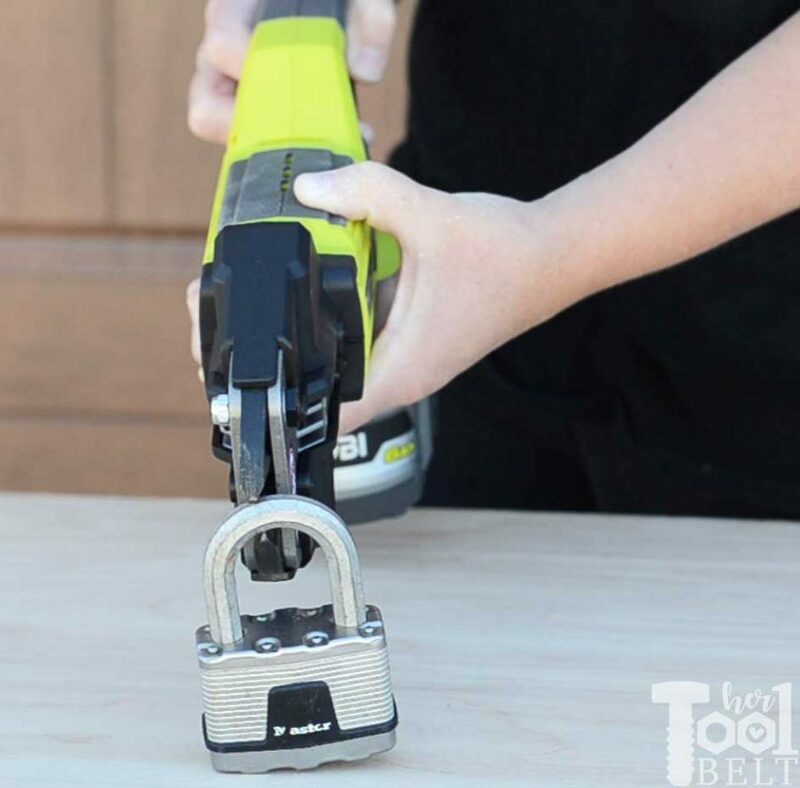 Ryobi Bolt Cutter Tool Review is sponsored by The Home Depot. I have been compensated for my time and provided with product. All ideas and opinions are my own. This post contains some affiliate links for your convenience. Click here to read my full disclosure policy. 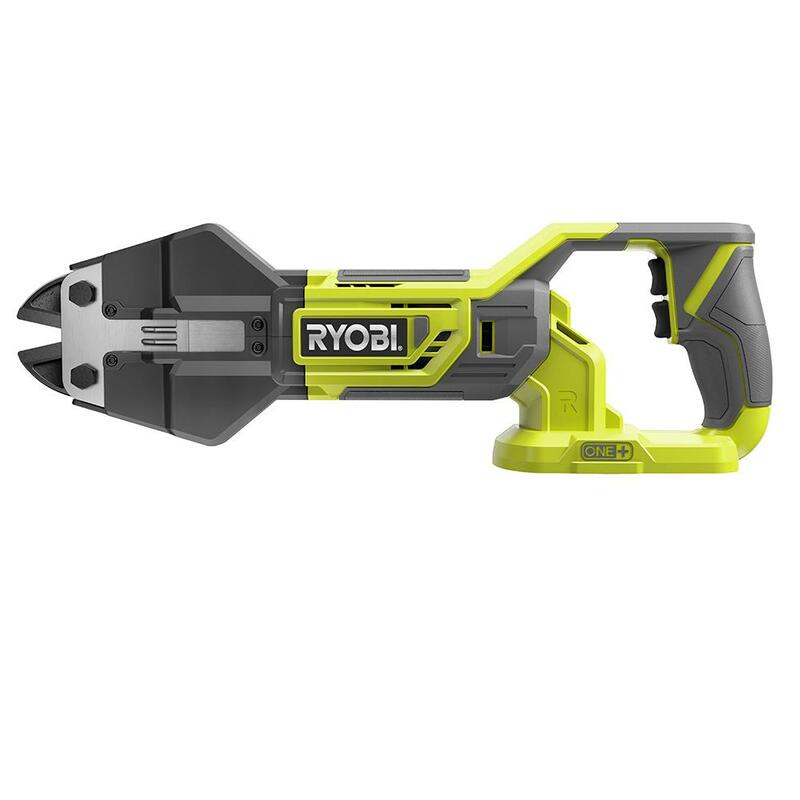 Ryobi has a new tool added to their 18v one + line up, it’s a cordless bolt cutter. Looks sweet right! Using the bolt cutter couldn’t be simpler or more convenient. It’s not a tool that I would use as much as a drill, but it sure is nice to have when you need it. The top button on the handle opens the jaws and the lower button closes the jaws. The unit weighs 5.2 lbs + battery and runs off a 18 v battery. Let’s put it to the test and see how the bolt cutters perform. I tested out the bolt cutters on 5/16″ chain, and they worked great. The jaws press down on the chain until the metal fractures, they don’t technically ‘cut’ the metal. I did have to ‘cut’ the chain in two places to remove the link from the rest of the chain, but it worked great. I did have to press the down button multiple times to make the cut. One caution is that the little piece may go flying once it cuts through. 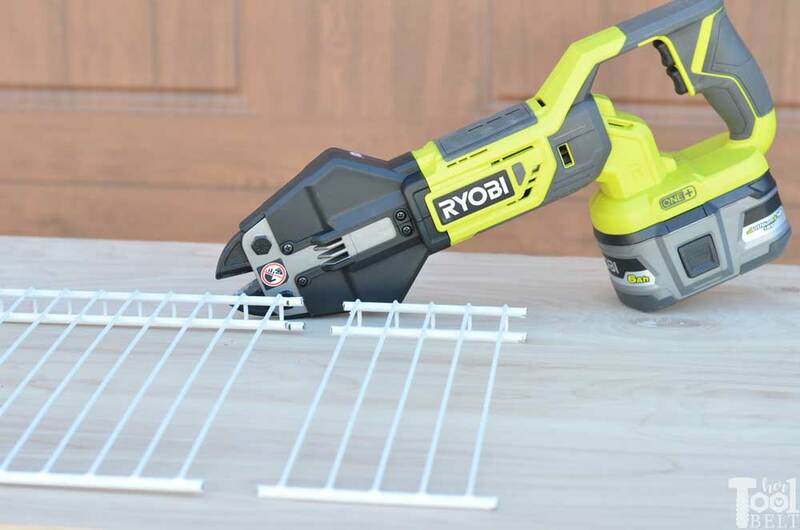 Cutting wire shelving for organization projects is a super practical use for this tool. The bolt cutter easily cuts through the wire shelving, but I did find it best to put the shelving into the jaws as far as possible. The bolt cutters cut through the 3/8″ all thread with no problem at all. They didn’t even break a sweat. This test is really testing the limits of the bolt cutter, the diameter of the lock is over 3/8″ and very hard material. It did prove to be too big and hard of a piece of metal to cut, and I may have damaged the jaws. Hopefully they’ll sell replacement jaws :-). I’m sure the bolt cutters could handle smaller locks without an issue. 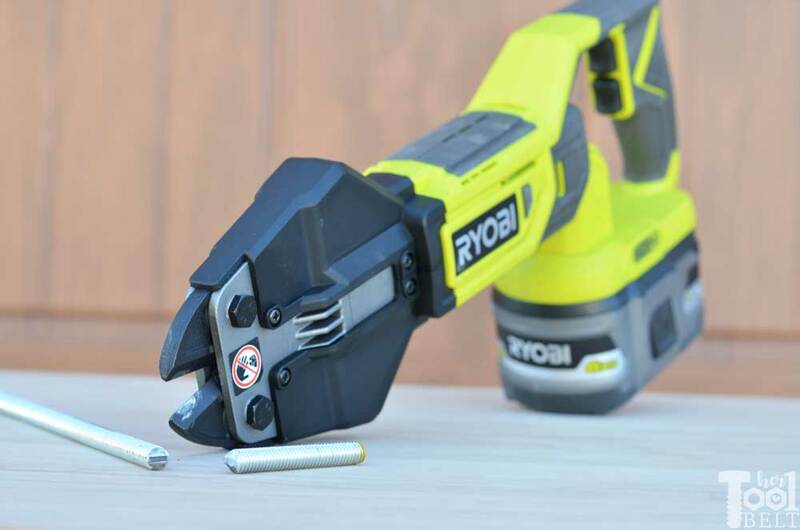 Pair your Ryobi brushless 18v power tools with the new Ryobi 18v 6ah battery with Lithium+ HP. HP technology communicates with Brushless tools to maximize performance, allows you to make faster cuts, drive larger screws, use bigger drill bits, etc. 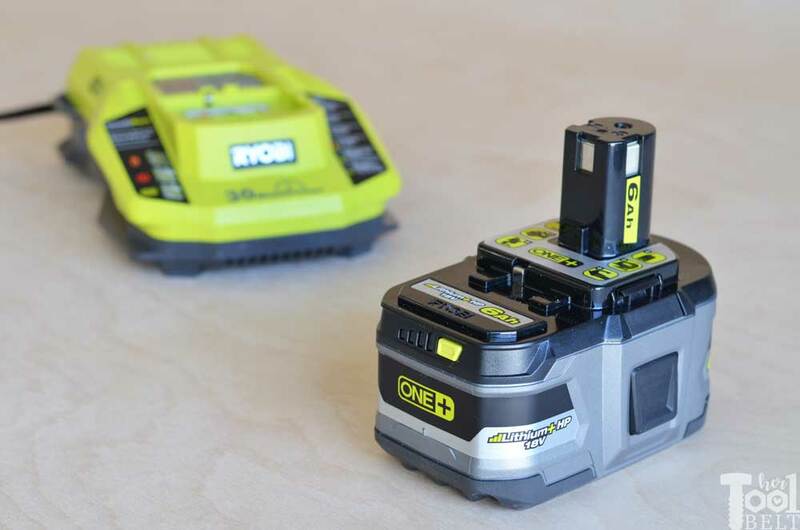 Even though the HP technology isn’t used on old Ryobi tools, the battery will still work in them. 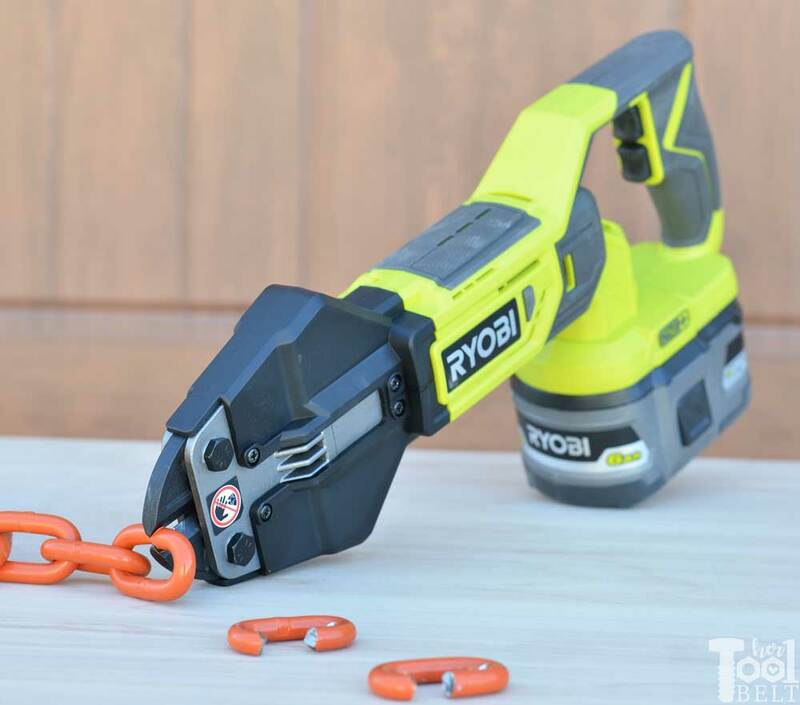 The Ryobi 18v Bolt Cutter works really well on advertised material sizes (up to 3/8″ medium/soft and up to 1/4″ hard material). It is really easy to use and takes minimal effort to cut difficult materials. I really like that it’s cordless, just makes the job that more convenient. I don’t recommend trying the bolt cutters on materials bigger than the advertised capacity.